Bring a dog to the family is an event that, to be a joy, must be well anticipated especially when there are children. This is a family decision that will engage the responsibility of each, at different levels, as each Member of the family will have the influence on the behaviour of the animal. IL is therefore important as a first step of choosing his companion to 4 feet. How to choose a dog for her child? Do a quick overview of your pace and your style of life, of what you are looking for in this relationship, the time that each will be able to invest. This information will help you to choose or avoid certain breeds. Personal tastes on are to be taken into account but pay attention to the heart adoption who is impulsive and exposed to not always pleasant surprises. When the large baby is 50 kilos and that il does not enter the trunk of the car, you can suddenly see things differently! Well to Learn about the race and its future needs (size, weight, exercise, food, maintenance…) is thus imperative to avoid any inconvenience. Choose the breeder is also a guarantee of success. Go to place, visit the farm, see parents, discuss with the breeder are important steps. You will have good knowledge of the breed and the advice. If you adopt your dog elsewhere in a farm, you can always go to gather advice in your veterinary or a cognitive. That brings me to the next point: the accompaniment for the home of the animal at home. Whether baby or adult accompanying you, by a cognitive, you will establish a harmonious relationship by giving the animal a framework and rules so that it fits your home best. Understanding animal sound, its needs, its messages is a pledge of serenity on a daily basis. Good foundation for canine education is also needed so that, for example, your children can, under your supervision, take the dog on a leash without that it upsets. Then, and this is important exptremement, you must, you parents, prepare your children for the arrival of the animal and teach well behave with him. Explain How to deal with his animal, feed, release it, the brushing, caress, how to play with him, how to respect and comply with its moments of calm, are the keys to a respectful complicity. The dog, as the child (up to a certain age, at least), is not responsible for the relationship and the problems that could occur. It is for adults to give a framework. If your child excited the dog or the cat, it annoy, hurt him, surprised in his sleep, it bored when he eats… it is normal that the animal may react. Then the simplest is still learning on a daily basis to the child to live with his animal. 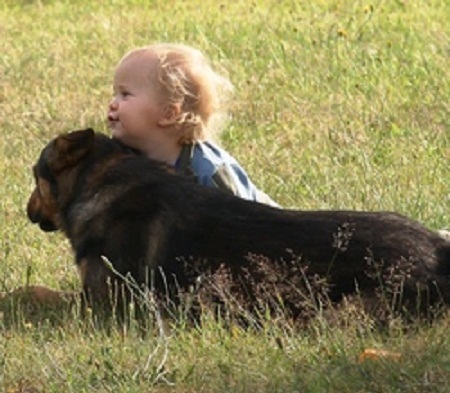 Child and dog: what dogs choose?